This time I will tell you about “aerial photography work” because it is the first series of entrepreneurship in Drone. Due to the release of Mavic PRO and “KARMA “, people who actually pilot drones actually more than ever have increased really. However, still there is still a lot to be known of Drone ‘s awareness of the world. Now if you start a business in Drone Opportunity! It is late after everyone has started. It is clear that any business opportunity should be started before the market saturates. As far as drone is concerned, it is important to get started as soon as possible. In this regard, it is quite tough to become a leading expert on that path after everyone has been maneuvering the drone as it normally is. Because it is sending out information easily and so on, it is easily buried in it. After this, I will also be involved in the expertise to explain. It takes time to polish skills as a drone photographer / video production. It is my problem right now, but anyone can shoot aerial photographs and videos. Currently it is unusual just to take aerial photographs with a drone, so many people will respond, but when everyone starts drone, it will obviously become a buried existence. For that reason, it is necessary to have a technique that pulls out one head before everyone starts drone. That, of course, is knowledge and skill to control the drone, but of course it requires the “video production” skill to transmit it. 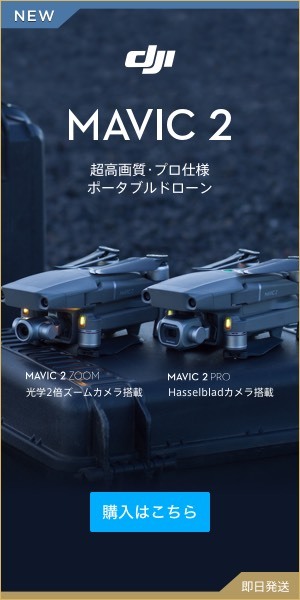 I have seen many drone images before, but I felt that Japanese creators still have lower levels compared to overseas creators. There is also a very handful of people who excel too. I was connected to this person with Instagram, but I will shoot a really wonderful video. This person is the main GO PRO main, but I also use the drones well. This one’s video is really cool! Therefore, if you refine real technology at the video production department utilizing drone, it will definitely be a job. Even Japanese creators have quite high levels, but it is still limited, so I think if it works hard from now on, it will be possible to dig into that handful. Super cool is cool! It is! Overseas creators are really good at making images by combining drones and GO PRO! Overseas nature has a large scale, but it is good to make it really good sense. In the case of overseas, it is not an overwhelming thing to simply skip the drones, but we are using an action camera such as GO PRO. That image is also wonderful. Furthermore, since images of images etc. are also being edited well, there are many things so that they can be truly deprived by just watching. Drone is being recognized, it is important to start from now. ➡ ︎ Since everyone has started it is late. To earnestly build a position as a drone expert. As a photographer to improve your skills as a picture production firmly. Please refer not only to Japanese creators, but also creators of higher level overseas. To summarize it into words, this is all, but it is not easy to say clearly. However, I think that there is much value to try.